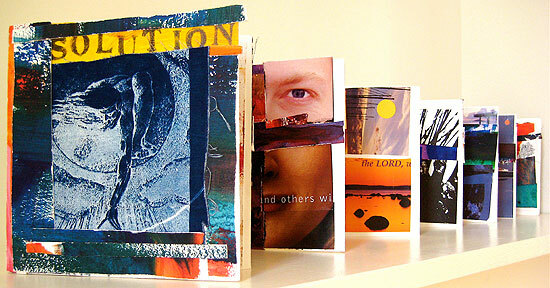 Creating a series of cross collages in a accordian book was a design challenge in the art class I taught in Perth. Students came up with creative titles for their books. This was the book I created during that class.